This project involved the construction of a new elementary school. The geotechnical report concluded that the building needed to be supported with vibro-replacement stone columns. As an alternative to vibro-replacement, Menard Canada proposed a value-engineering solution utilizing Dynamic Compaction (DC) to densify the upper 5 meters of soil. Soil improvement was necessary to compact the granular fill and silty sand to sandy silt within and surrounding the building footprint. Providing support for the shallow foundations, slab on grade and to minimize the potential for total and differential settlements. The total depth of fill varies from 1.1 to 1.5 meters, with an average depth of 1.2 meters to be removed, replaced and compacted. The objectives of the treatment were to compact the soil in order to obtain a minimum bearing capacity of 150 kPa at SLS, 225 kPa at ULS, to limit total and differential settlement to 25 and 19 mm respectively and to prevent liquefaction of the soil in a seismic event. One of the many challenges associated with this project was the close proximity the crane was working to an active blasting crew, which was removing bedrock from the remaining portion of the school that was not dynamically compacted. 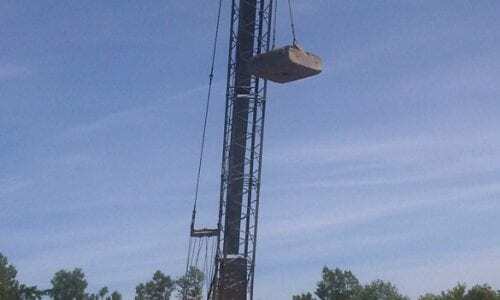 Based on Menard Canada’s design, a 12 ton steel weight was dropped from a height of 16 meters onto the building foot print and the compaction area extended 5 to 10 meters past the building footprint on all sides. The first and second phases of compaction were designed to densify the soil to a depth of 5 m and the final “ironing” phase was designed to compact the upper meter of fill placed after the compaction craters had been brought back to grade. The DC program was completed on schedule, with all tests achieving the intended results. 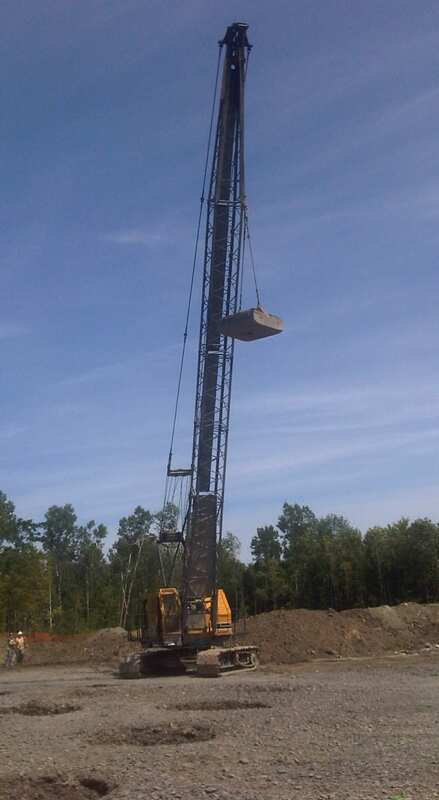 Menard Canada delivered a value-engineering solution of soil improvement to the customer while providing a cost-effective, reliable method, appropriate for the project and for the site.